Construction and Engineering, Power and Energy, and e-Commerce are some of the many industries that rely on recruitment firms to help them fulfill their requirements. A recruitment firm assists businesses to fill in the gap and provide them with the workforce. This article will discuss why businesses engage with recruitment firms to help them minimize the hassle of going through CVs to secure the best candidates. Clients backed with the assistance of a recruitment firm can run smoothly and proceed with their operations. Business owners can focus more on their core competencies to maintain and nurture their competitive edge within their industry, as well as boost profit margins. Let’s say, an e-Commerce company chose to expand into the Philippines. Their expansion is the result of stable operations resulting in increased revenues. The company availed the services of a serviced office space provider during the expansion phase and hired a team of offshore professionals to work for them. Moreover, the CEO has assigned the HR department to handle the recruitment for the subsidiary company in the Philippines. However, the head of the HR department posted job openings for the subsidiary inside the company website, a lot of CVs filled up their company email, and it’s time-consuming since they exhaust countless hours to filter and verify applications from candidates. Employment firms, later on, extend their assistance to the client. The CEO has decided to employ their services, and after several discussions, they took charge of filtering the CVs to determine which of the candidates meet the qualifications set for each job opening. They ask the list of vacancies from the employer and handle advertisements to be posted either on their website or several job portals. Now with the recruitment firm handling that situation, companies are off to handle different matters such as payroll and the welfare of current employees. Recruiters are aware of market rates and job specifications per industry. They also determine abilities as a reference for specifications in a particular position and sources complexities such as work location and job posting visibility. With several companies being certain when it comes to specializations, recruitment firms double their efforts to ensure that each client will not fall short of their expectations. Recruiters allocate the right set of candidates according to the client’s background and specifications coming from the Job Description, and each candidate assigned to the relevant industry. Let’s not forget the fact that each industry is different. Some will look for candidates outside of their current pool to see if they possess skills that can adapt with and match their specifications. Individual candidates are flexible, which allows them to earn new skill-sets while improving what they already own. For example, companies and their marketing teams possess exemplary employees from different backgrounds. A graphic artist’s previous experience came from the media and creative industry; a content writer may have been part of an earlier digital marketing team and a web developer whose knowledge came from a reputable IT company. Specific sectors are open to opportunities so exploring other options might be beneficial to candidates and employers. An example is a political science graduate integrated into a marketing department. The candidate’s awareness of certain government circulars, memorandums, and regulations can mesh with training the candidate to write content on their behalf. This allows the department to utilize his knowledge. Let’s head back to our previous example. With the company hiring a recruitment firm to handle the job posting, your HR department has managed to cope up with the sudden influx of CVs. 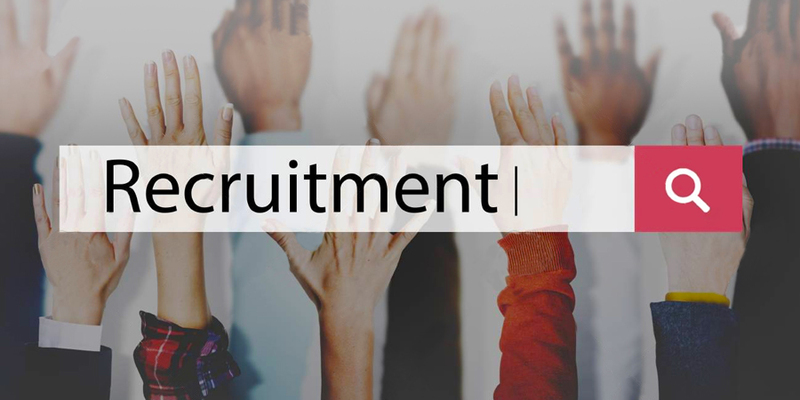 Recruitment firms allow your company to secure the ideal candidates without being anxious that they might not meet the requirements they have initially set. After careful processing, the firm has finally recommended a candidate that meets your qualifications! You have also conducted the final interviews, allowing that candidate to secure the position. The same result happened in the other job posts, and now the subsidiary office has enough number of employees to sustain its operations for the time being. The company, later on, releases more job positions to enhance further operations and the services they offer. Since your company has been a valued client of that recruitment firm, you can re-employ their services and gain insights on market rates for these job openings and evaluate the status and pace of the industry. With this, the recruitment firm is more than welcome to assist you once again! Thanks to the services of the recruitment firm you’ve hired, the continuous maintenance of your company’s subsidiary here in the Philippines allows you to continue to offer different services to your clientele. Begin your Headhunting and Recruitment with us! Recruitment firms are more than willing to fill in gaps that are left unfilled by employers. Here at KC Global Talent Solutions, we are more than willing to extend our helping hands to deliver top-of-the-line solutions to your recruitment and human resource needs, among others. Got any questions or tips that you can share to give your company a head-start on recruiting the right candidate for the job? Let us know in the comment section down below!